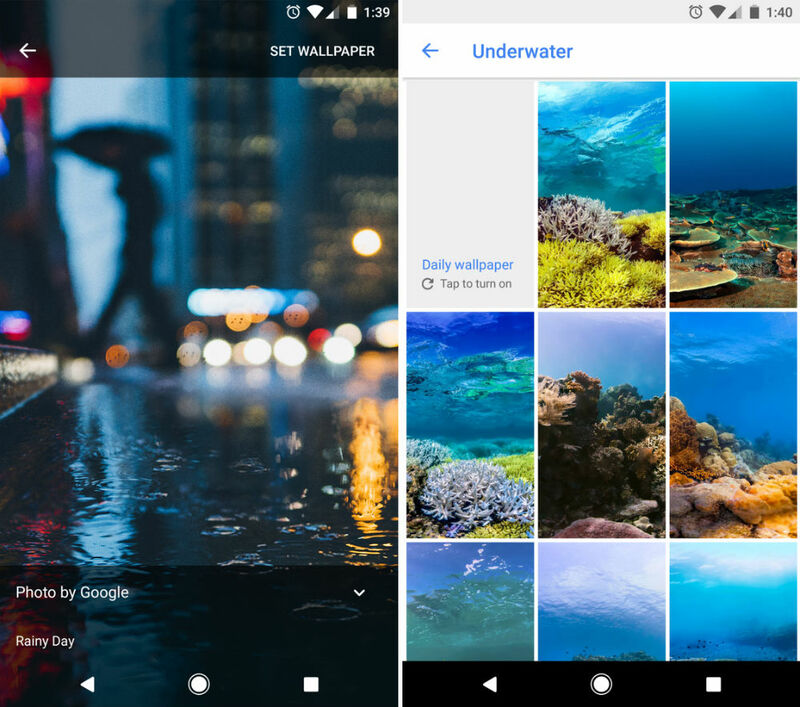 The official Wallpapers app from Google received a few new categories today, including a wallpaper specifically for all Pixel users that was showcased on the Pixel 2 at Google’s October 4 event. From what we can tell, Google has added three new categories, some only accessible by Pixel device owners. In total, the new categories are Geometric Shapes, Underwater, and Keep Looking. Those are the three you’ll find on all Pixel devices. I checked on my LG V30 and only saw Geometric Shapes, though. No Underwater and no Keep Looking categories. Additionally, the Live Earth wallpaper that showcased a beach with moving waves is not present on any device, including the Pixel. That could be kept as an exclusive for Pixel 2 and Pixel 2 XL owners. As for the Cityscape shot (shown below), you’ll need a Pixel to access that one, as I’m not seeing it on the V30. While I’m not a fan of having wallpapers be an exclusive thing, it’s whatever. They’re just wallpapers after all. If you want to check out the new additions, go grab the app.